Well-known North Canterbury wool buyers, Brian and Christine Logan, recently sold the 94 hectare Hawarden property they raised their family on, lived on and farmed since 1982. Brian Logan says the property, Glenford, located 39 kilometres north of Amberley and 84 kilometres north of Christchurch, was farmed to fit in with their wool buying business, which ranges from Waiau to Amberley. “It was always a good farm. When we bought it, it had been cropping and running sheep. We changed it to deer and cattle, which was better suited alongside the annual programme for wool buying and complemented what we were doing there in terms of seasonal workload,” he said. Originally, the Logans lived on six hectares adjacent to the property. 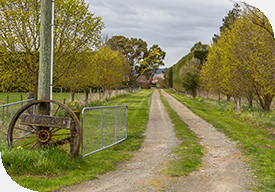 “Next door became available and the neighbour approached us to say ‘I’m selling 33 hectares.’ We bought it, and added on in the years to come, building it up from there, including putting a new house on what had been a bare block before we built 32 years ago. It was a great spot for raising our four children,” he says. Drought has posed issues from time to time, and in common with everyone else in North Canterbury, the big snow of 1992 was a farming challenge that left lasting memories. “That winter all our water systems froze up. Our pump cracked in half. We had to install a new pump, though all the water lines were frozen so that didn’t make much difference at first. We spent our time carting water around the farm, dumping it in troughs for the next two weeks. Our poor old stags suffered,” he says. A few years later, achieving $10 per kilogram for deer was a more pleasant memory. “Growing good steers is extremely satisfying too; seeing them coming into the yards, then going away in the truck at around 600 odd kilograms. That is something we have taken pride in,” says Brian. Three years ago, Brian and Christine decided the time to move on was approaching, and leased the farm for dairy support. With that lease expiring at the end of 2017, the Logans engaged Peter Crean of PGG Wrightson Real Estate, Christchurch, to take Glenford to the market in a joint agency with another real estate company. “They suggested we go with a deadline sale, and they know what they are talking about. Selling it in three titles gave the buyers various options to purchase, which is why we went with what they suggested on that,” says Brian. Peter Crean says the sales process went smoothly. “Everything happened on time. Once the deadline arrived we had received several offers, and the farm made good money for Brian and Christine, in the end selling as a single unit for use in conjunction with another farm, for calf rearing and dairy grazing. Its potential for irrigation, with Hurunui Water Project shares attached to the farm, is another positive that attracted market interest. “On a per hectare basis the farm met our upper pricing expectations, ranking as one of the strongest rural property sales recorded in the Hawarden area at around $20,000 per hectare,” he said. Brian and Christine have moved to a smaller block at Leithfield, closer to Rangiora and to Christchurch, though still within easy reach of the North Canterbury farmers whose wool they buy.